The Community Alliance for Youth Success has been hosting a series of parties for Midland area teens at Plymouth Pool this summer. Two events already have taken place, with the third and final party scheduled for August 22nd from 8:30 p.m. – 11:00 p.m. Music, snacks, games and prizes are provided. These events are free and are for high school students only with photo ID required. 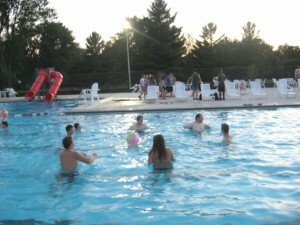 Party @ Plymouth Pool offers area high school students an opportunity to have fun in an alcohol- and drug-free environment. 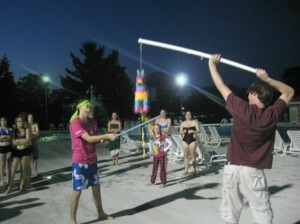 Plymouth Pool lifeguards, agency staff and volunteers interact with the teens throughout the event. Teens get a chance to experience Plymouth Pool at night with their friends, as well as meet other teens from the Midland community. The pool is closed to the general public during the parties. These events exist through partnership with the City of Midland, Midland Area Partnership for Drug Free Youth and The ROCK Youth Center. Party @ Plymouth Pool events would not be possible without the generous sponsorship from The Creek Grill and B-Xtreme Cycle and Sport, along with help from our community volunteers. For more information contact Midland Area Partnership for Drug-Free Youth at 989.835-8699 or via email atoffice@midlandpartnership.org.